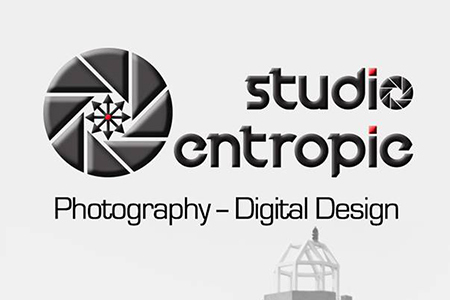 I designed the logo and logotype. The artwork on the card is my own as is the layout of the business card. 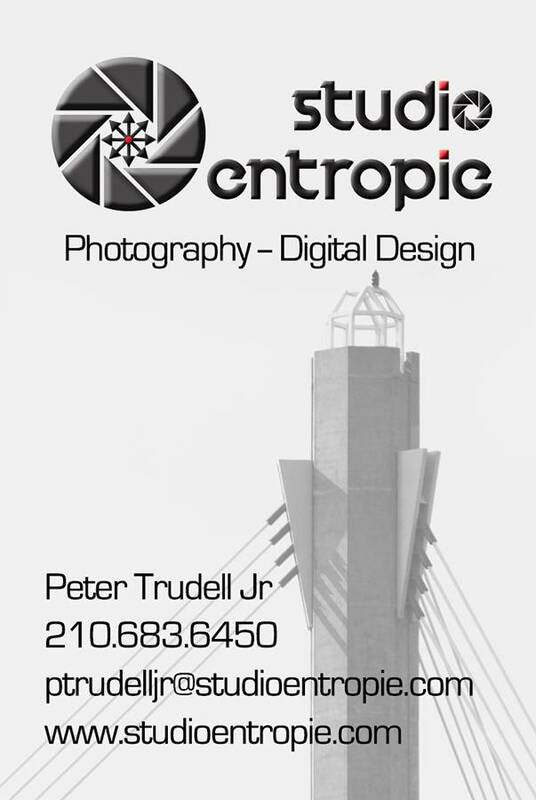 Business card design for my friend's company. He wanted a simple white on blue style without effects. 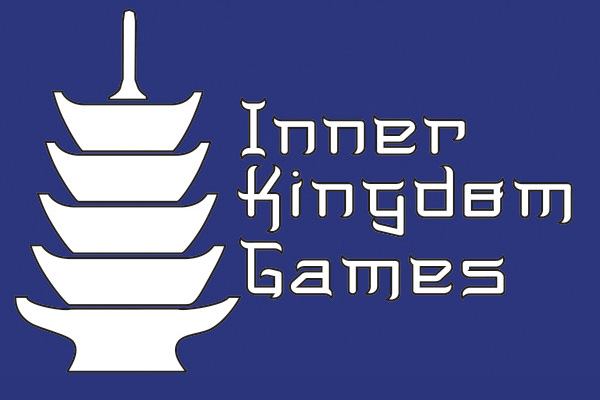 I created the pagoda logo inspired by Chinese pagodas. 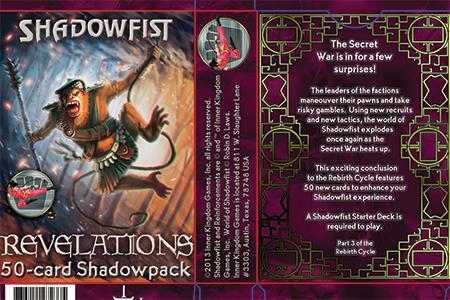 His primary product, Shadowfist, is a card game inspired by Hong Kong Action Movies. Two set badges I designed for the game. 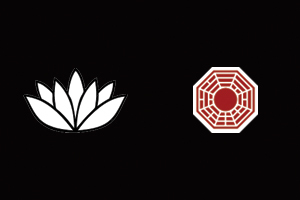 The first is a lotus flower which was used in the expansion "Revelations". The second is a Feng Shui mirror which was used in the sets "Combat in Kowloon" and "Back for Seconds". 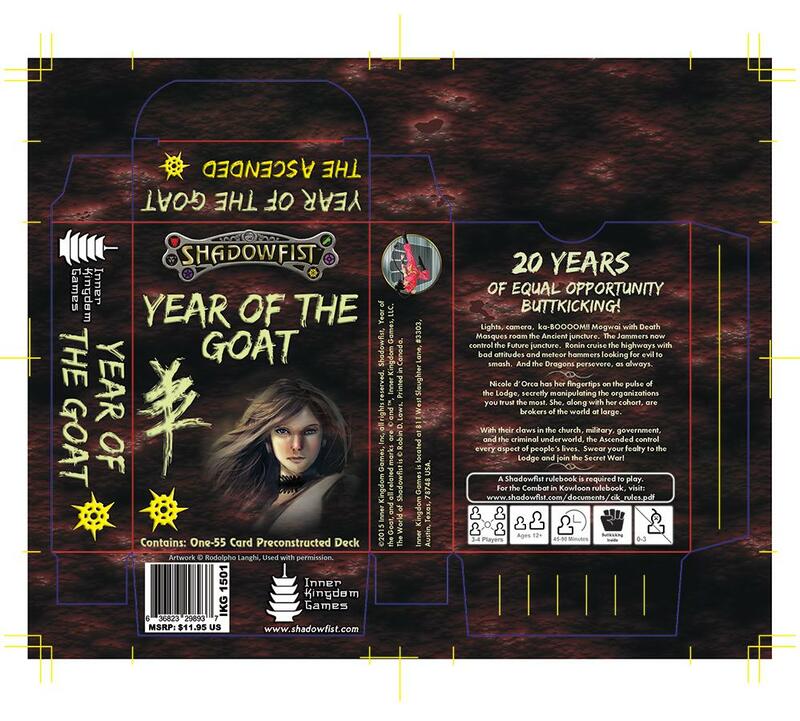 An earlier example of my work doing packaging layout for the game. The logotype and the back framing are legacy assets to help tie the new products into the old. 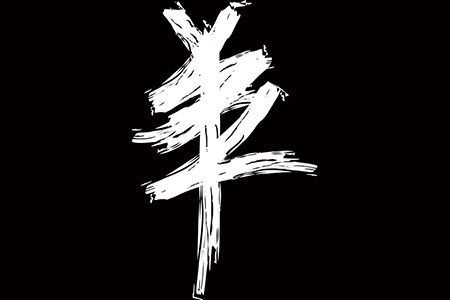 Every set for the game has a signature mark. For our latest release, I created this brush stroke design of a ram in Adobe Illustrator. The Chinese hanzi character, "Yang" refers to a goat, ram, or sheep. Because of this, this year of the Chinese Zodiac is for any of the three. Although we went with Goat for the title, a ram was more evocative an image for the logo. 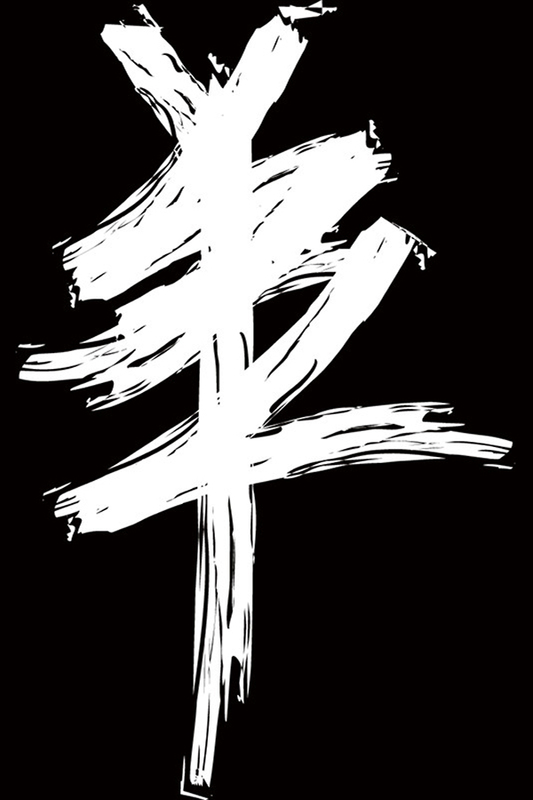 This is the Chinese hanzi character "Yang". I used the same brush stroke I used for the Year of the Goat logo to create this secondary logo for the product. 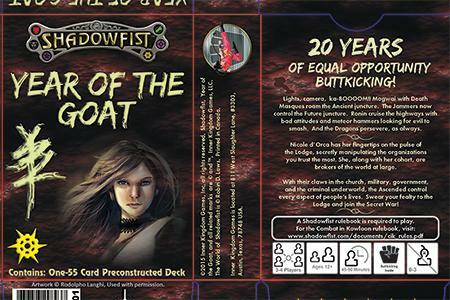 The latest box design for Shadowfist. This is one of a set of six, one for each faction. The front image, faction symbols and faction name are unique to each box. 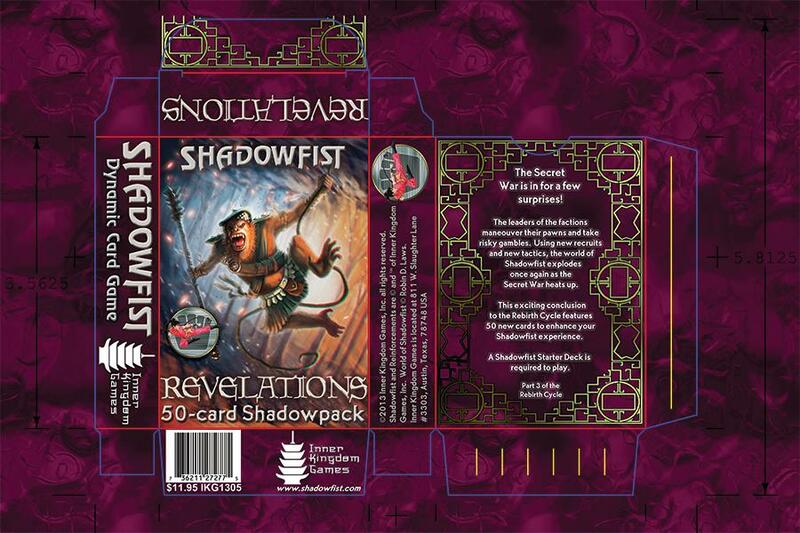 Note the transition to the new Shadowfist logo and removal of the back frame.